Climbed several times (at least 5) in April/May/June. 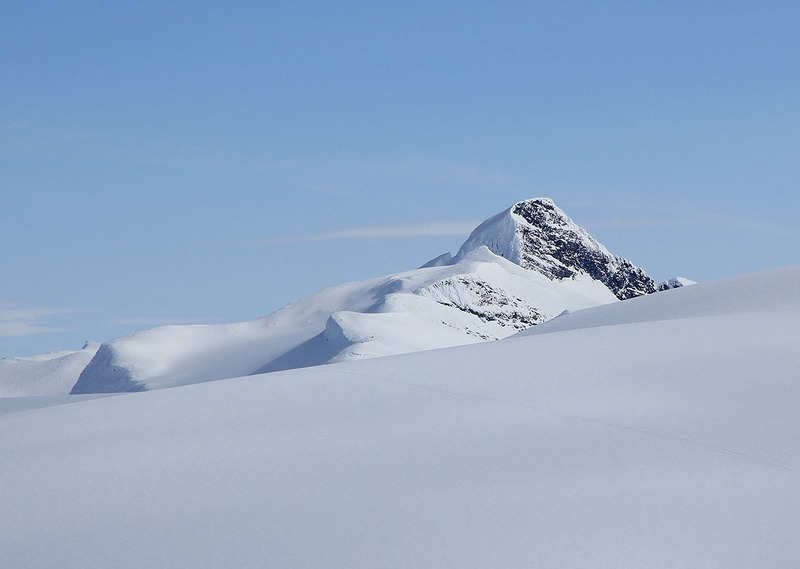 How to get there: I normally climb this mountain as part of a (more or less) traditional crossing of the Jostedalen Glacier, the largest glacier on mainland Europe. 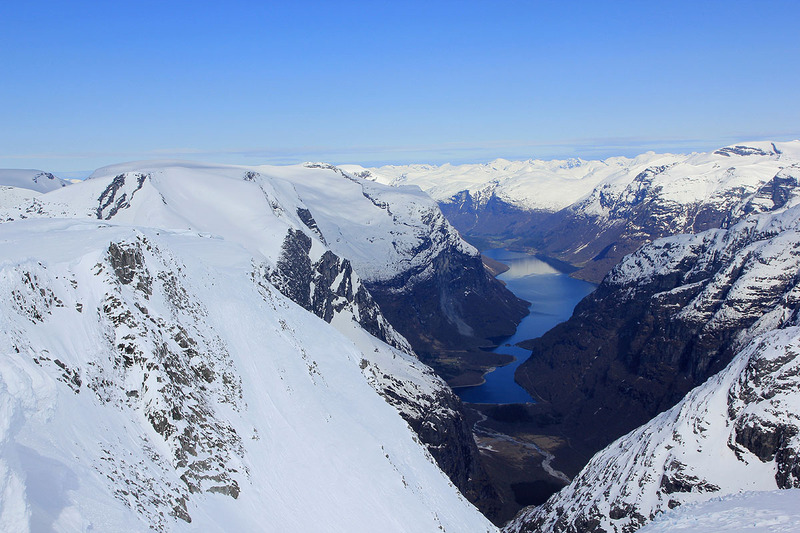 The closest approach by car would be to drive to the Loen lake from the small village of Loen, situated between Olden and Stryn at the very end of the Nordfjord. However, the ascent from Loen lake is rather steep and difficult. 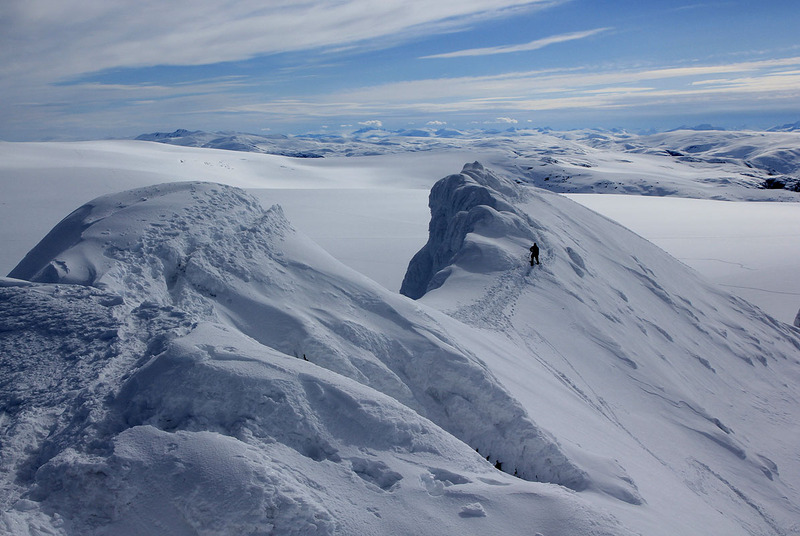 Route description: We often ski to Kjenndalskruna from Lodalskåpa on the way to Høgste Breakulen. 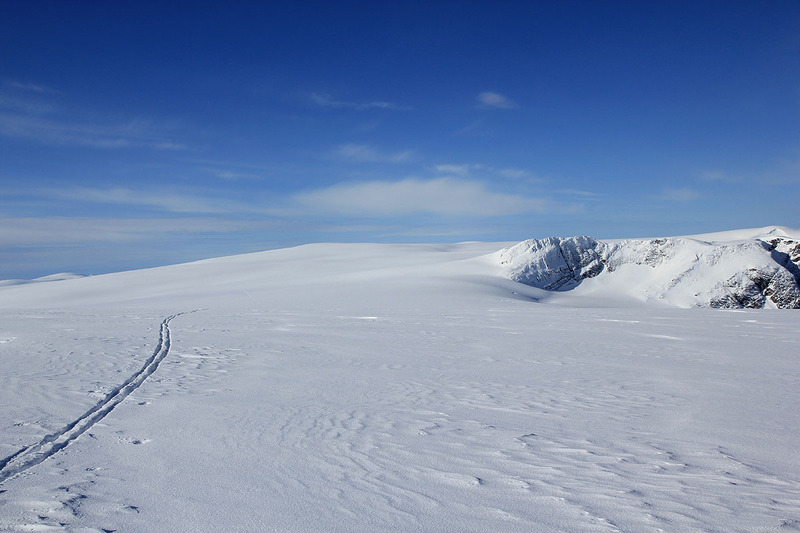 One can ski almost to the summit, a short hike on foot is normal at the very end. The ascent poses no difficulty when approached from the glacier side. Ski more or less directly here from the base of Lodalskåpa. See also the description above. 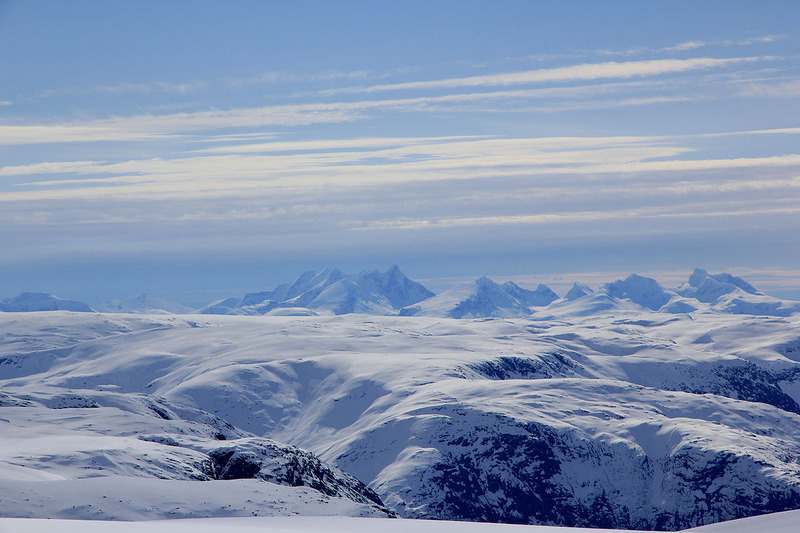 From here, the route runs to Høgste Breakulen", since no trip on the Jostedalen glacier can be said to be complete without a vist to this point. 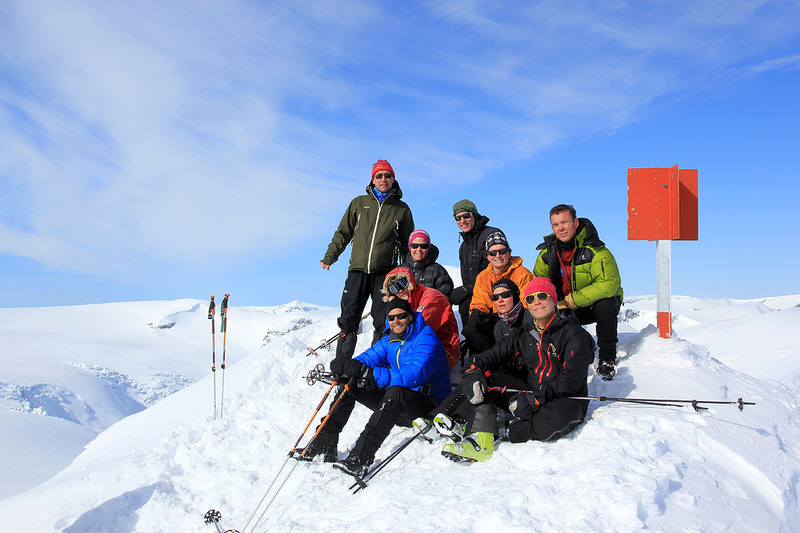 Comments: This mountain which is quite easy to climb once you are skiing on the Jostedalsbreen glacier has an exceptionally nice view back down to the lake Loenvatn. This lake has been hit by huge rockfalls several times in the 20th century. The two first created monster waves that killed almost all inhabitants in the valley. The traces from these disasters are clearly visible. 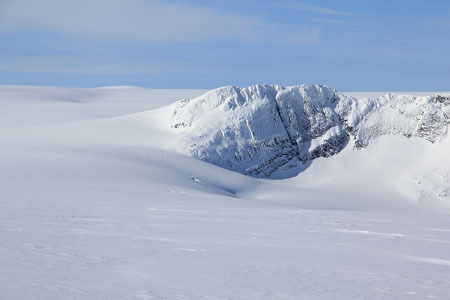 View north, Skåla in center. 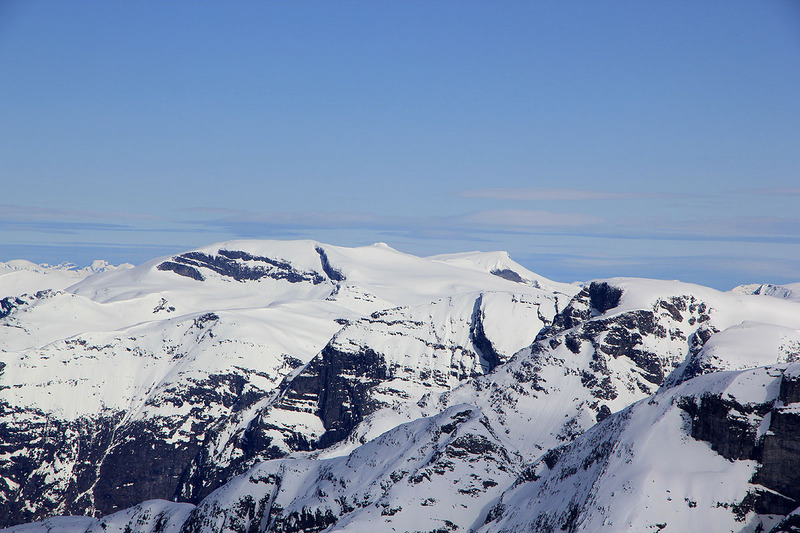 Lodalskåpa, as seen from Kjenndalskruna.